I think I have talked about my love of pasta before so I don't think I need to repeat it. Oh I do. Well I love pasta. 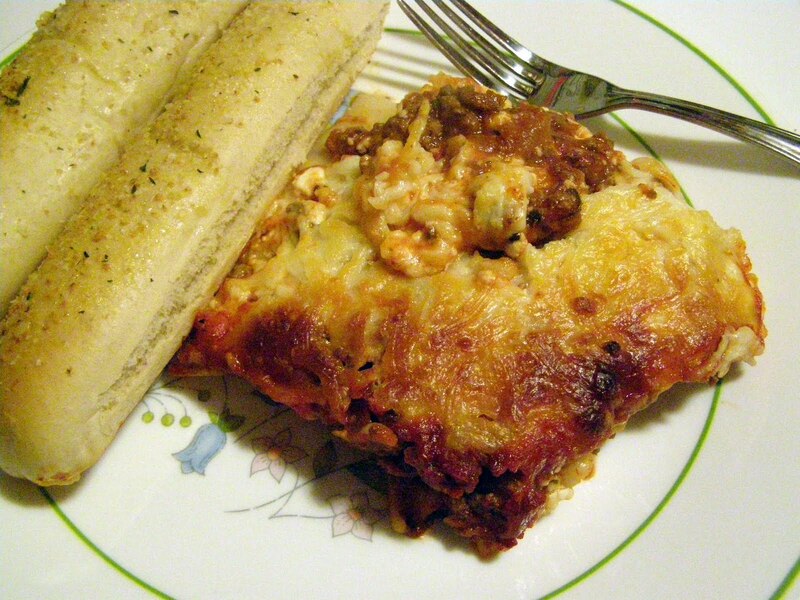 I love my mom's lasagna. I don't know where this recipe came from I just know this is how mom made it and how she taught me to make it. Simple, yet so delicious. You can use the no boil noodles but my mom thought they tasted starchy so I still boil. But either way you do it people will be asking for seconds and for this recipe. In a skillet brown the beef and onions. I like to season the meat with garlic powder, oregano, and basil or Italian seasoning. Drain beef. Place the meat back in the skillet and add the spaghetti sauce. Let simmer. Meanwhile boil the noodles according to the package directions. Drain. In a bowl mix together the cottage cheese, Parmesan cheese, and eggs. In a 9X13 pan spread in a thin layer of sauce. 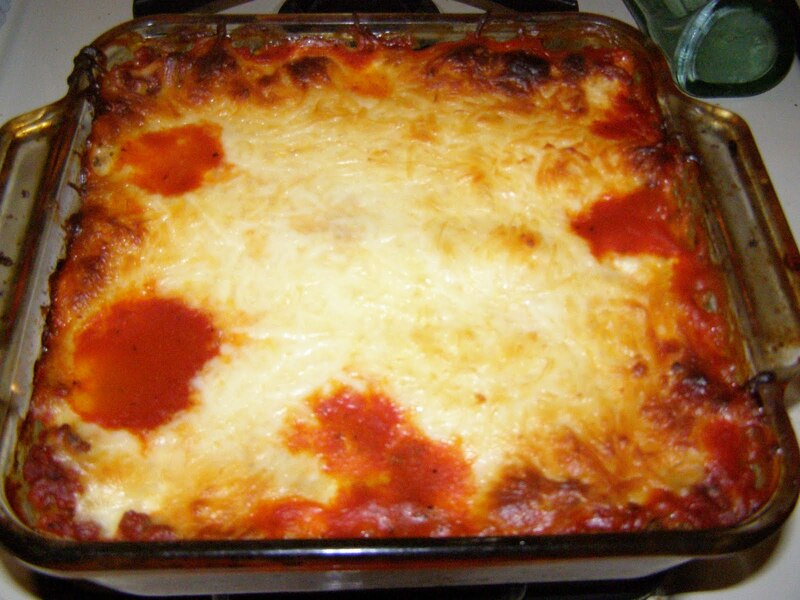 Lay down a layer of noodles, spread a layer of sauce, spread a layer of cottage cheese, sprinkle on mozzarella cheese. Repeat the layers ending with mozzarella. Bake for 1 hour or until heated through and the cheese is melty.